All week I’ve been sharing some of my favourite Punjabi dishes to include in a traditional thali, so a sweet treat couldn’t be far behind right? For me, the perfect single serving dessert has always been a gulab jamun. Yes they are sweet and sticky, but in single servings, they are perfection! 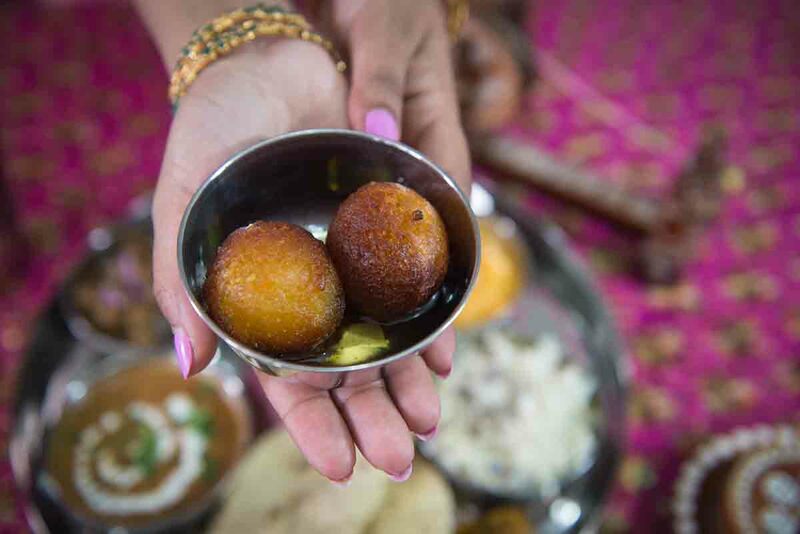 Since I’m a bit of a food history geek, I did some digging around on the origins of gulab jamun, and there are many conflicting theories on where this delicious fried treat originated. 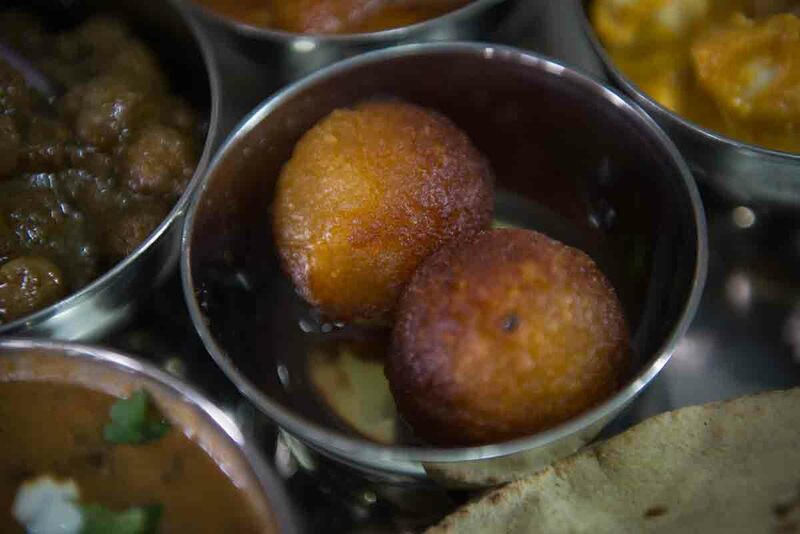 My personal favourite; the personal chef of Shah Jahan created the first gulab jamun – that works for me! A “shahi gulab jamun” is the perfect dish to follow up my homestyle shahi paneer. The method I’m going to share with you for homemade gulab jamuns is really very easy, and definitely worth trying out. 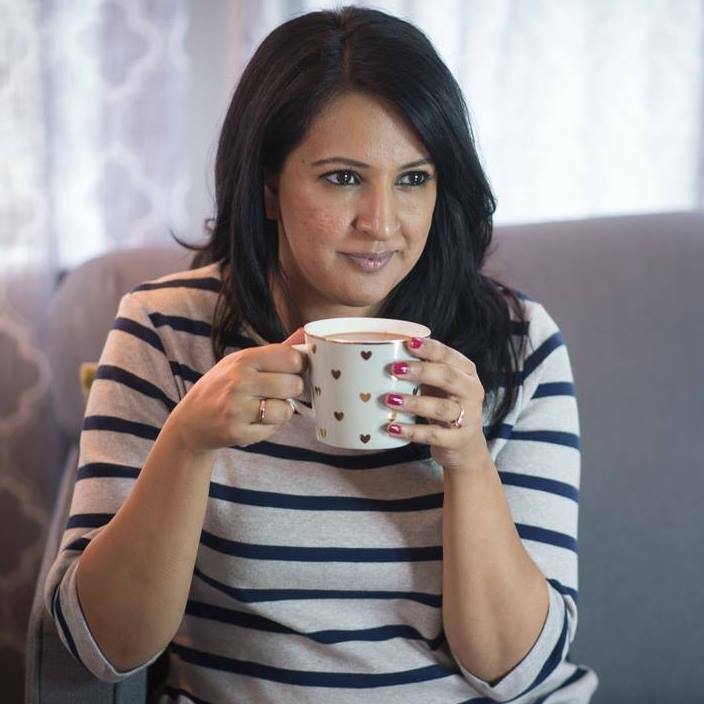 If you aren’t quite confident in trying to make them from scratch, you can also get delicious ready-made gulab jamun in the refrigerator section at Save-on-Foods. And if gulab jamun aren’t your jam, I also spotted ready-made ras malai, gajrella, and rasgullas in their South Asian foods section. There is really no excuse for you not to have sweets with your Punjabi thali now is there? 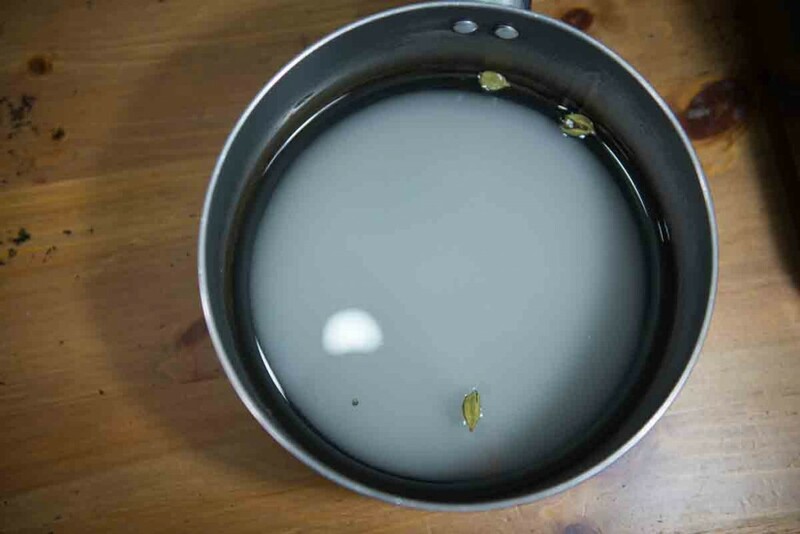 Start by making a simple syrup. Mix the sugar, water, cardamom, and rose water together and simmer on a low flame for 8-10 minutes. The syrup will become sticky and reach a half thread consistency. Prepare the syrup and leave it aside while making the gulab jamun. 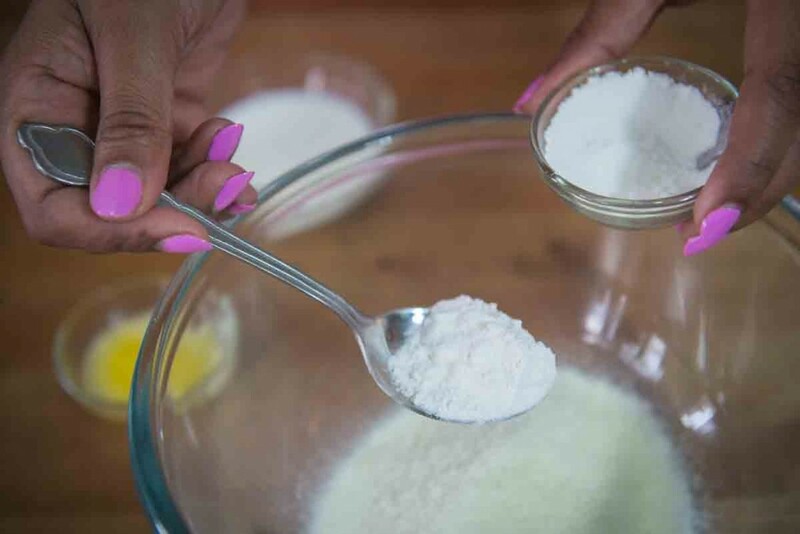 Combine all the dry ingredients (maida, milk powder, and baking soda) together in a bowl. 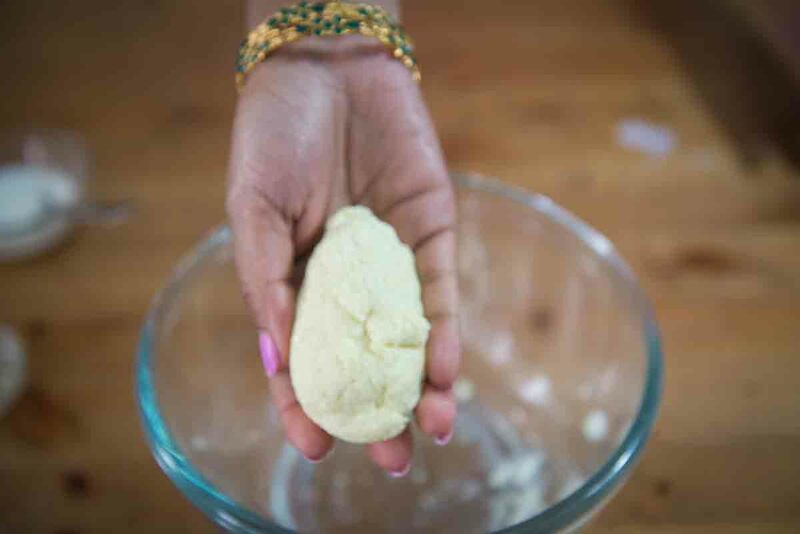 Add the ghee and milk powder and gently knead into a soft dough. 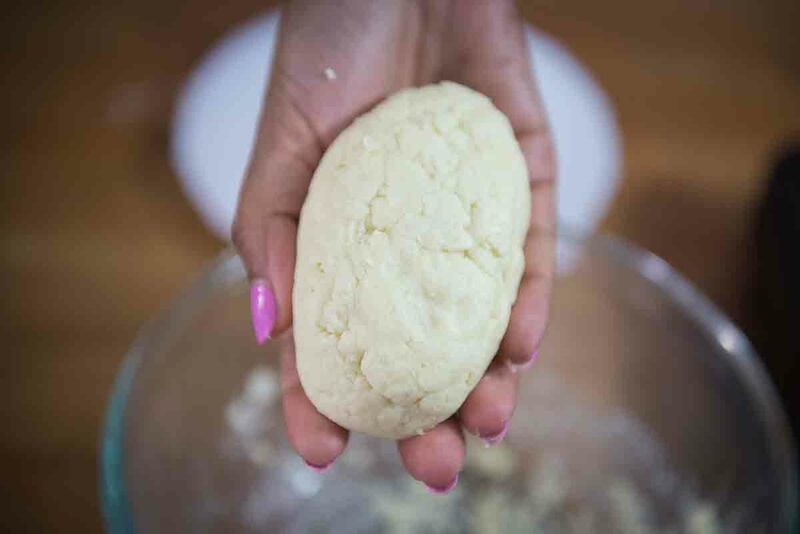 Do not over-knead, your mixture should be sticky not hard. 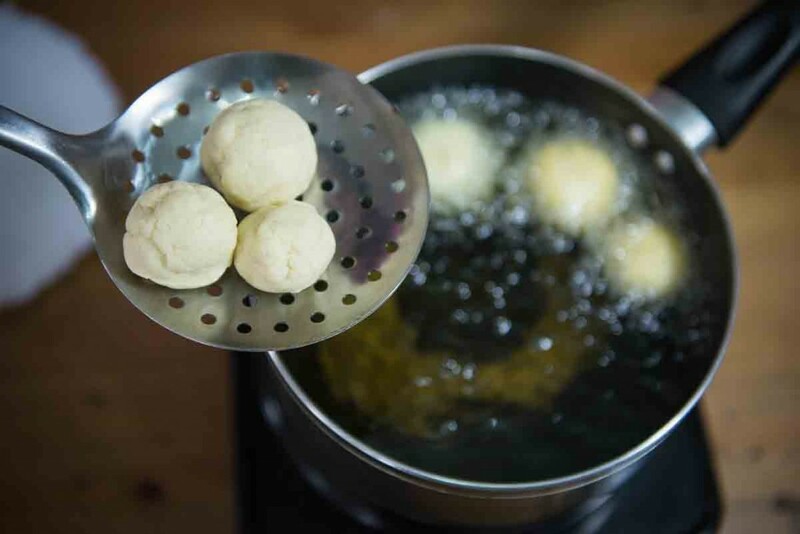 Grease your palms with a little ghee and shape into 4-6 round balls. Don’t make them too big, as they will double when added to the sugar syrup. 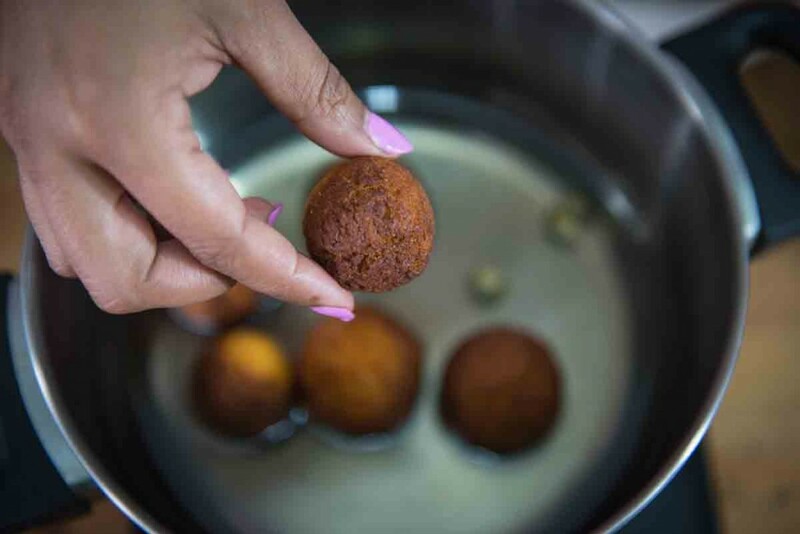 Heat oil on a low to medium flame – the key to golden and soft gulab jamun is slow cooking. Don’t overheat the oil. It took about 6-7 minutes on a low heat for me to fry the gulab jamun. As you can see, my gulab jamun aren’t perfect smooth like the ones that you get a restaurant would be, but I’m okay with that! That’s the beauty of homecooked food. Cool the gulab jamun for 5-7 minutes and then add them to the syrup. Let the gulab jamun soak up the syrup for 2-3 hours before serving.